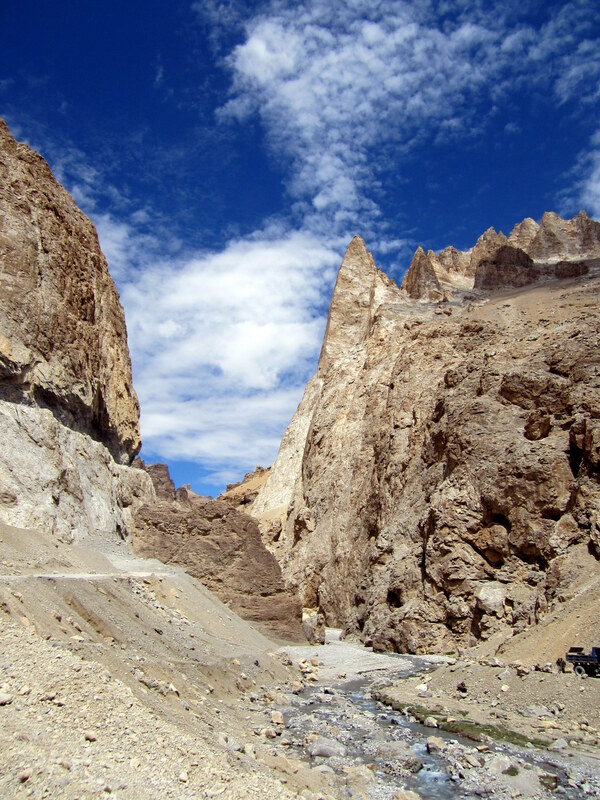 On the road to Leh – one of a kind journey! Another blast from the past! This time rewinding back 3 years ago when at this time of the year along with a few friends we were planning the journey to a truly unique and incredible destination – Ladakh! For me this was last of the Himalayan states in India left for me, having covered parts of Arunachal, Sikkim, Darjeeling, Himachal and Uttarakhand. A group of us who were by now veterans of multiple roadtrips hatched this plan and thus planning was easy even with a group of 15! 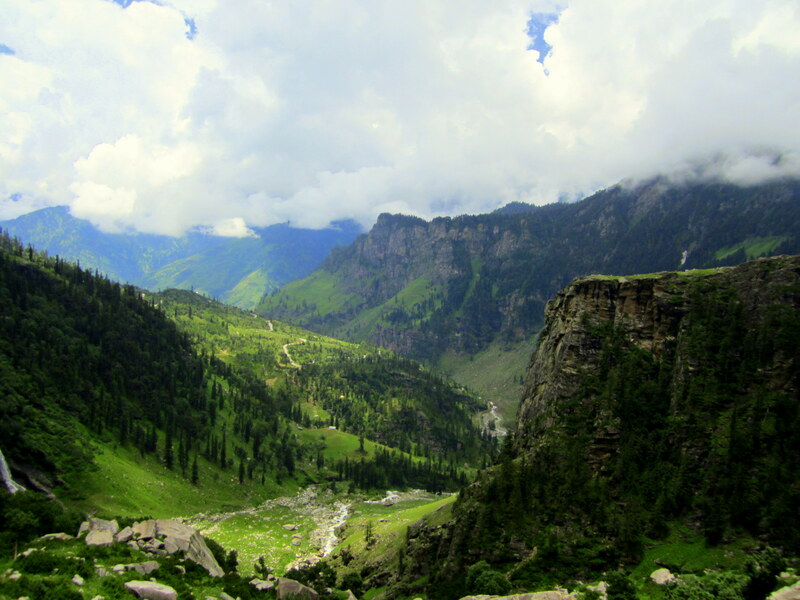 Thus we all gathered in Delhi in July for what was going to be an epic roadtrip to Ladakh via Rohtang Pass. For me this was the highlight of my month in India after a year plus of working in Nigeria. So the group packed into a Tempo Traveller and a brand new Nissan Micra. Little did we or the owner / tour operator / driver of the Micra know what was in store ahead. After an uneventful but enjoyable opening day we halted at Manali for the night. 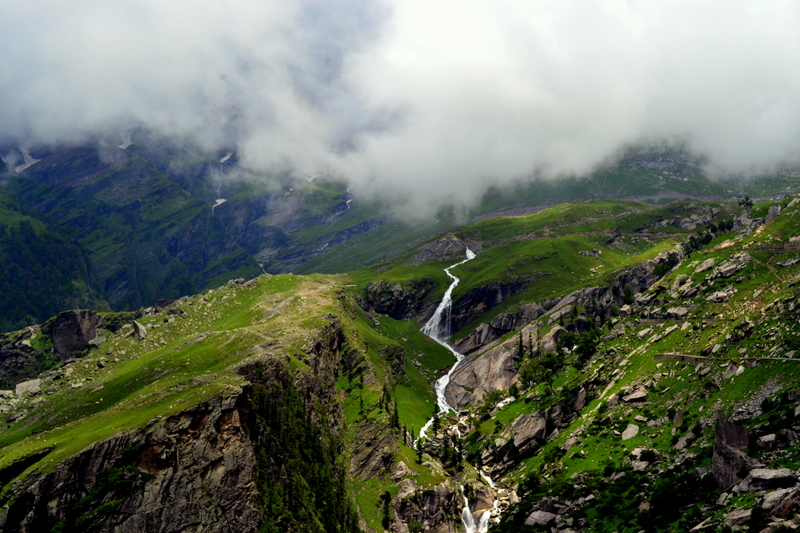 Next day we traversed the end of lush green Kullu Valley towards Rohtang Pass and Lahaul Valley. In an hour or so we had approached the climb to Rohtang and then much to our chagrin we ran into what we thought was a little bit of traffic but what turned out to be a monumental blockade that was covered on National News! The skies had opened up during the previous days turning the mountian pass into slushy slippery clay mud trap with the threat of land slides and rocks tumbling over. And lest you forget one of the cars in our convoy was a Nissan Micra!!! We made scant progress throughout the day while our tour operator / driver looked out for alternate options. Quite to the surprise of the tour oeprator our whole group was in good spirits, which was considered “foreign tourist” like attitude. The BRO were working hard and doing a stellar job as usual of clearing what had become a blockade trapping thousands of vehicles and by evening their efforts started yielding results. We inched on towards clearing the worst parts of the mountain pass and we were all willing ourselves to clear the stretch. It was all part of the package to push the Micra and even the Traveller through slush in the middle night! We almost thought we had made it when it started to drizzle again in the middle of the night. 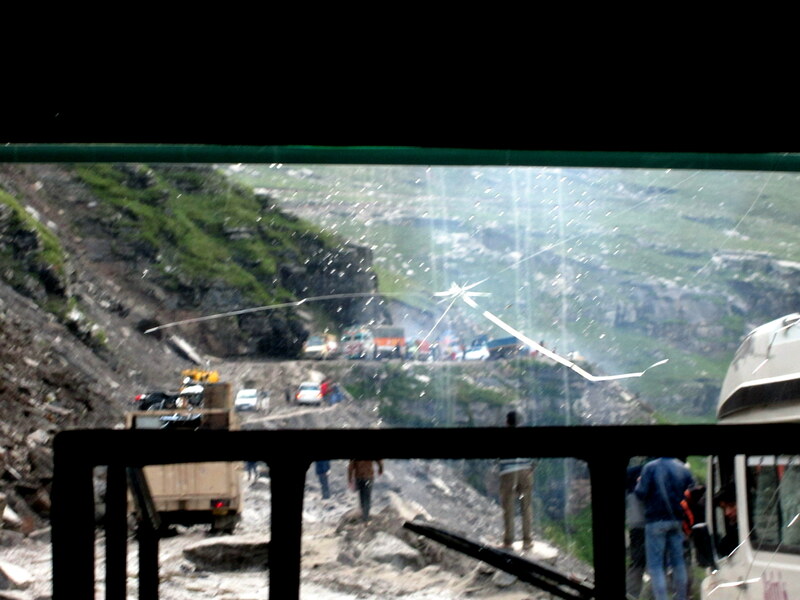 The situation deteriorated and we had to camp in our vehicles for “A night in Rohtang Pass”. In the morning conditions were a bit better but the Micra after waging a tough battle against all odds had taken quite a beating and was certainly in no state to take another day in mountain /highland terrain. Another vehicle had been arranged at the end of the pass and a brief bus trip and a short walk through a short cut got us to the end of the pass and beginning of a new terrain. Soon after the Tempo Traveller team caught up with us and we were off on our way to Sarchu. We were travelling through new terrain on a clear day making for a much different experience from the turmoil of previous day and night. What’s the point of a road trip if you cant stop by an ice-cold stream and take a moment to refresh! After catching a glimpse of the spectacular Suraj/Vishaal Taal at dusk near Baralach La pass we came upon Sarchu, our camping site at the boundary between Himachal and ladakh at the mere height of 4290m. it was indeed an experience to camp at that altitude under clear skies where catching a breath was indeed a task. 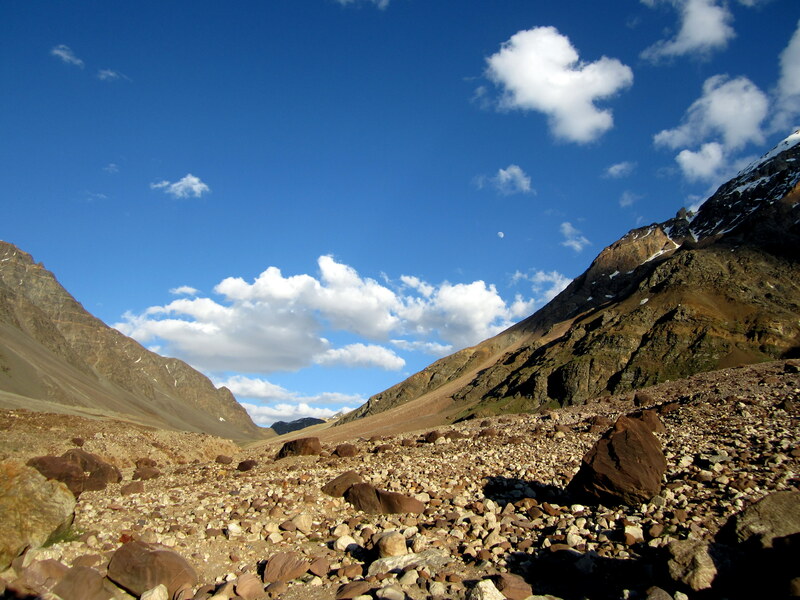 Also Sarchu provided the setting for an image that I felt represented “Without Destination” the most and prompted me to make it the featured image of this blog. 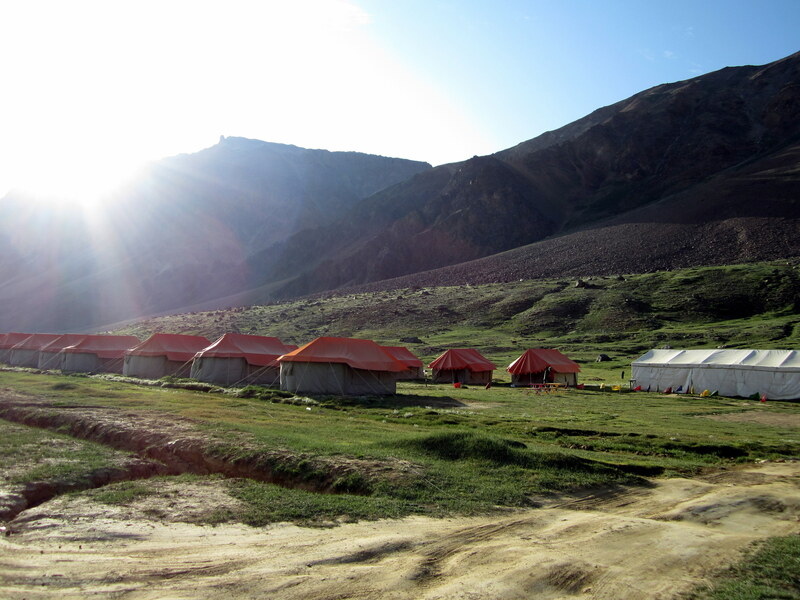 Sarchu campsite in the backdrop of brilliant morning sun! After 2 nights of camping in a car and in a tent we set of for Leh looking forward to a good shower and a proper room. 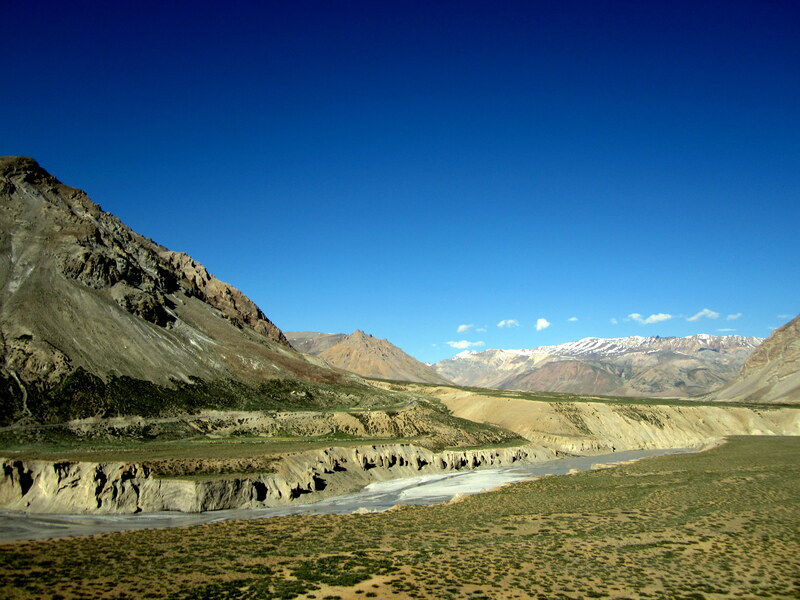 As we crossed into Ladakh what awaited us was a landscape that was quite out of the world and incredibly unique. The high point of the day (literally) came in the evening when we crossed Taglang La at an elevation of 5,328 metres (17,480 ft) and which incorrectly claims (on the signboard) to be the world’s second highest motorable pass. And soon after we came to the end of an eventful and memorable 3day 4day journey from Delhi all the way to Leh. And we couldnt wait to hit the showers and enjoy a warm meal under the Leh night sky at our guesthouse! Is it advisable to do Rohtang in Micra then? Well in normal July weather it is quite fine. But there is always risk of rains messing up the road. So check weather forecasts carefully before you decide!